Successfully Added VKWorld VK6735 Smartphone - 5 Inch, Android 5.1, 4G, MT6735 Quad Core CPU, 2GB RAM +16GB Memory (Black) to your Shopping Cart. 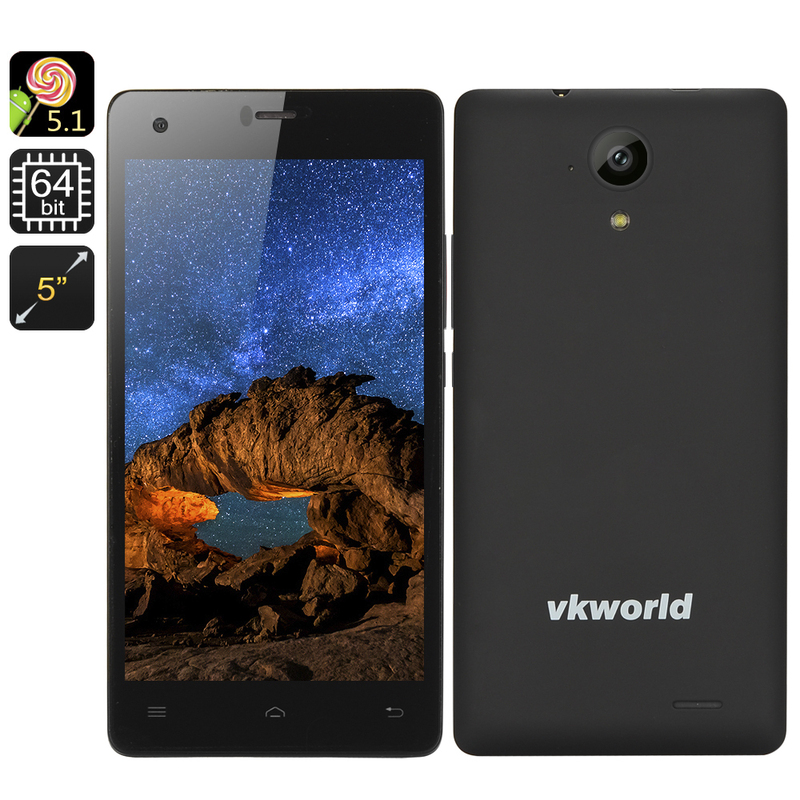 The VKWorld VK6735 comes with a 5 inch capacitive screen, 4G connectivity, a powerful MT6375 processor and Android 5.1. VKWorld VK 6735 is the first Smartphone to arrive at Chinavasion sporting the newest Android 5.1 operating system – and that is something to be excited about. The renewed OS comes with a number of tweaks and upgrades for an even better mobile experience. Some of them are: quick connection to Wi-Fi and Bluetooth devices, screen pinning, HD voice calling, new Device Protection and anti-theft features and much more. With a 5 inch phablet style screen, you will be able to enjoy all the upgrades in full and give your media a strong presence. The VK 6735 seems to be intent on featuring the latest in the mobile world, and comes with fast and smooth 4G connectivity. With the support of two SIM cards, you will have the chance to explore this feature in full and have a reliable connection throughout the day. Staying true to its commitment to host all the latest upgrades, this model comes with Intelligent Wake-Up, letting you get quick access to various apps directly from the locked screen. All of this functionality is backed up by a MT6735 quad core processor, allowing you to multitask to your heart’s content. This processor manages to be faster and more efficient than its predecessors by adopting 64 bit architecture. Don’t forget the dual camera feature, with the back camera coming with 13MP - and you have yourself a modern media device with all the latest features at a very reasonable price.